UPSC has issued Exam Calendar for Year 2019. So For Examinations in 2019, You can Check Details for Starting Date for Notification & Apply Online for Various UPSC Exams below……..
Union Public Service Commission is Supreme recruitment body in India for filling posts in Union, Central Government through written examination. UPSC advising on the suitability of officers for appointment on promotion as well as transfer-on-deputation, advising the Government on all matters relating to methods of Recruitment to various services and posts. 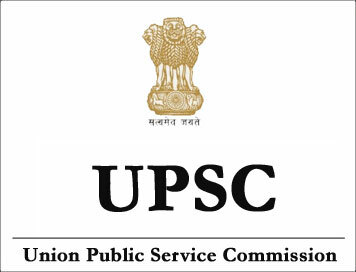 The Union Public Service Commission (UPSC) is India’s central agency authorized to conduct the Civil Services Examination, Engineering Services Examination, Combined Defence Services Examination, National Defence Academy Examination, Naval Academy Examination, Combined Medical Services Examination, Special Class Railway Apprentice, Indian Economic Service/Indian Statistical Service Examination, Geologists’ Examination, and Central Armed Police Forces (Assistant Commandant) Examination. Apart from this, UPSC also announces New Vacancies for Various Posts in Governmental Department, Ministry & in Offices. UPSC conducts written exam for the Posts listed above & also make Recruitment time to time. Candidates can get updates about Latest Jobs/ Examination Notification from UPSC website http://www.upsc.gov.in OR http://upsconline.nic.in/. It is advisable to All candidates to keep in touch with UPSC website for latest Recruitment & various All India Examination. You Can get all updates regarding Recruitment, Admit Card, Answer Keys & Results from Leading Job Portal (www.jobriya.com). You can Bookmark our site also to get latest Updates about UPSC Recruitment. Dear Jitendra Ji: When can we expect teh exam of Bihar SSC Inter exam?? in some of the website it has been mentioned that exam will be held on 5th June to 3rd July..is it so.. When Can we expect the result of Railway NTPC graduation level..